Angel body is about 30 mm tall. And wings are about 26 mm across. Total length including wire and angel is about 15 cm. Made from fine quality lead crystal. Nymboida use only the best quality materials and are market leaders in this field. 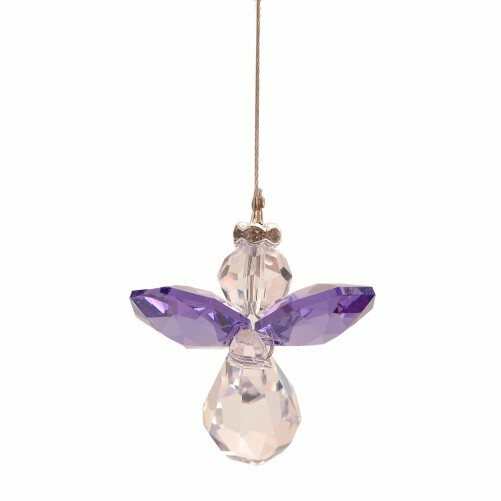 These beautiful crystal angels can be hung from anywhere and will look amazing. A few places I have heard of are door knobs, car rear view mirrors, curtain poles or window handles. Where might you hang yours? We also stock Sun Catchers.